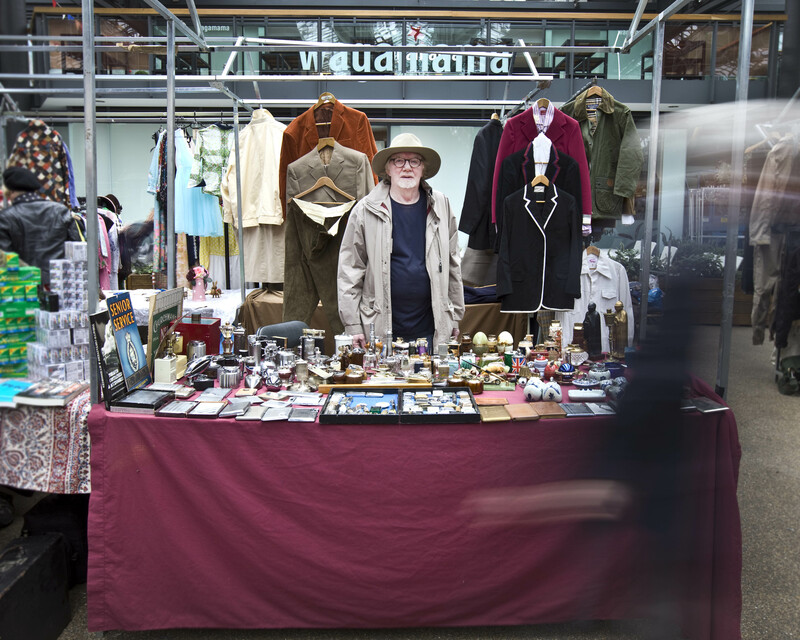 This is the eminent John O’Brien who has been dealing in lighters for over forty years and has a stock of around four thousand. “I have collectors from all over the world who buy my lighters. At the moment it’s the Russians – anything Russian sells.” declared John, his green eyes glittering in delight, before snatching one lighter after another from his collection, flipping and snapping them to produce flames in innumerable ingenious methods. “At an early age, I was given a collection of lighters and I loved the mechanisms, especially perpetual lighters from the eighteen nineties.” he told me, revealing the catalyst that sparked his life-long enthusiasm. 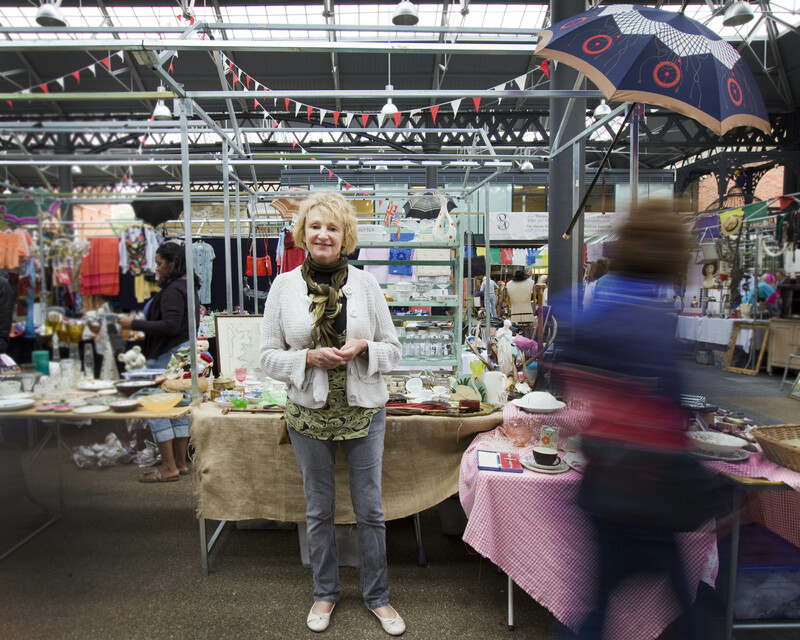 This is Jan Gordon who has been trading in Spitalfields for five years and six weeks. 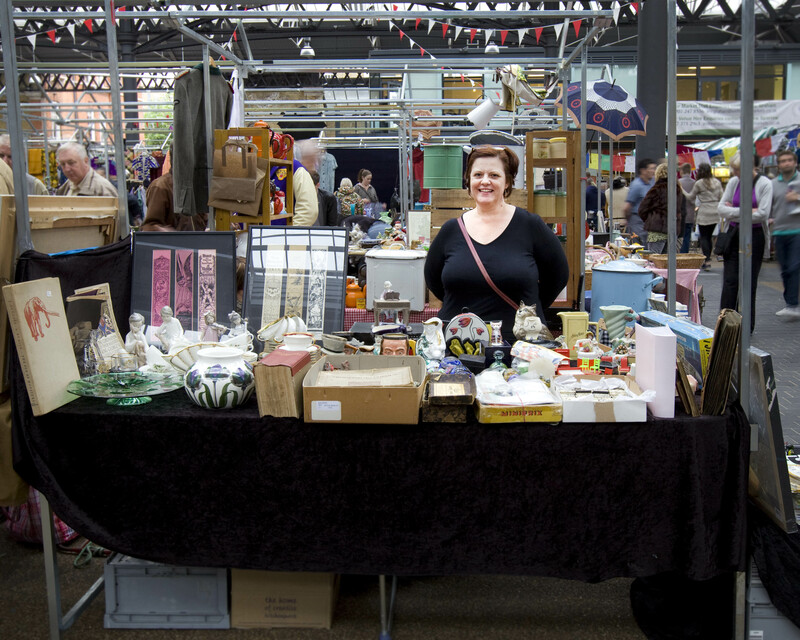 “Personally, I deal in jewellery though I rarely wear it,” she confided to me eagerly, “it’s just a magpie instinct – whenever I open a box of glittery things, it’s such a wonderful uplifting feeling. Now I’ve got the best of both worlds because I enjoy it and I seem to do well out of it too.” When I admired the box of old lead figures amongst all the toby jugs and old china tea sets on her stall, Jan explained that some of the stock was her husband’s, “Toys are really his thing.”, she revealed with an affectionate grin. 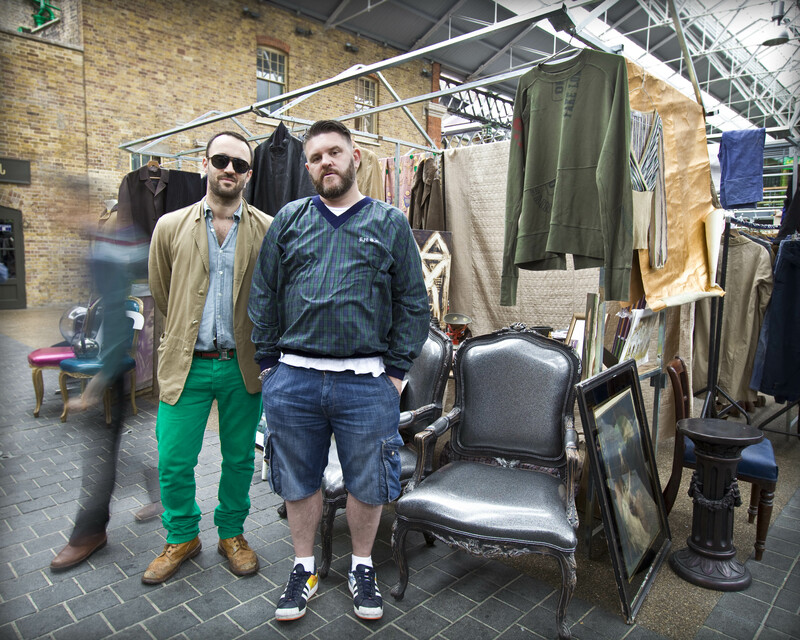 This is Ian Jeffries and Wayne Shires, who describe themselves as a couple of Spitalfields virgins, enjoying their first day on the market. Two old friends, both shopaholics, now downsizing and decluttering, Ian & Wayne were positively bristling with excitement. “We’re just here to see what the ride is like today,” quipped Ian, an interior designer with a saucy grin and suave attitude. Already they had sold a lot to the other dealers, “I think they smelled fresh meat!” declared Wayne, a former club promoter and DJ, rubbing his hands in gleeful anticipation.